A skilled physician who is knowledgeable about the medical and rehabilitation needs of people with arthritis, working with a physical therapist also familiar with the needs of people with arthritis, can design an exercise plan for each patient. It also helps with weight reduction and contributes to an improved sense of well-being. Range-of-motion exercise (e.g. dance) help maintain normal joint movement and relieve stiffness. This type of exercise helps maintain or increase flexibility. Strengthening exercise (e.g. weight training) help keep or increase muscle strength. Strong muscles help support and protect joints affected by arthritis. Aerobic or endurance exercise (e.g. bicycle riding) improve cardiovascular fitness, help control weight, and improve overall function. Weight control can be important for people who have arthritis because extra weight puts extra pressure on many joints. Some studies show that aerobic exercise can reduce inflammation in some joints. People with arthritis should discuss exercise options with their doctors and other healthcare providers. Most doctors recommend exercise for their patients. Many people with arthritis begin with easy, range-of-motion exercises and low-impact aerobics. People with arthritis can participate in a variety of, but not all, sports and exercise programs. Your doctor will know which, if any, sports are off-limits. Are Researchers Studying Arthritis & Exercise? Researchers are also studying the benefits of exercise in older populations. It is appropriate to put joints gently through their full range of motion once a day, with periods of rest, during acute systemic flares or local joint flares. Patients can talk to their doctor about how much rest is best during general or joint flares. Moist heat supplied by warm towels, hot packs, a bath, or a shower can be used at home for 15 to 20 minutes three times a day to relieve symptoms. Deep heat is not recommended for patients with acutely inflamed joints. Deep heat is often used around the shoulder to relax tight tendons prior to stretching exercises. Hydrotherapy (water therapy) can decrease pain and stiffness. 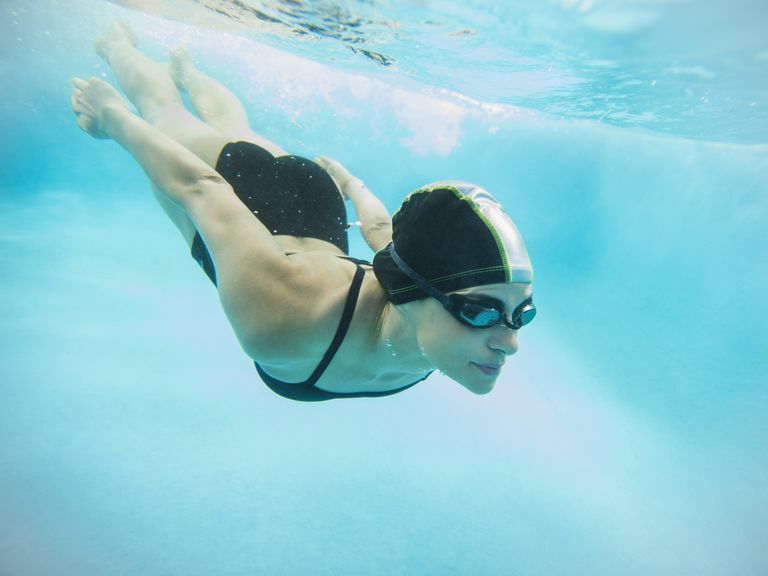 Exercising in a large pool may be easier because water takes some weight off painful joints. Many community centers have water exercise classes developed for people with arthritis. Some patients also find relief from the heat and movement provided by a whirlpool. When done by a trained professional, these methods can help control pain and increase joint motion and muscle and tendon flexibility. TENS (transcutaneous electrical nerve stimulation) may provide some pain relief. In TENS, an electrical shock is transmitted through electrodes placed on the skin's surface. Patients can wear a TENS unit during the day and turn it off and on as needed for pain control. Biofeedback may help relax muscles and control your responses to pain. Relaxation therapy also helps reduce pain. Patients can learn to release the tension in their muscles to relieve pain. Therapists may be able to teach relaxation techniques. Acupuncture is a traditional Chinese method of pain relief. Researchers believe that the needles stimulate deep sensory nerves that tell the brain to release natural painkillers. Acupressure is similar to acupuncture but uses pressure instead of using needles.